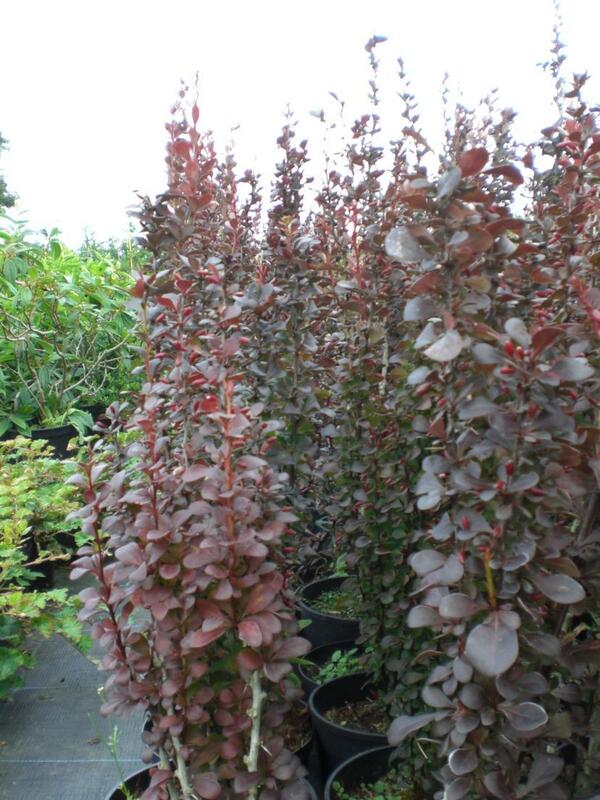 Berberis thunbergii f. atropurpurea Helmond Pillar - Barberry is a narrowly upright, compact, deciduous shrub with purple leaves. Makes a very nice impact plant. Grows to 1.2m.